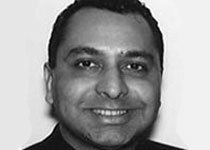 Dr Irshaad Ebrahim is a consultant Neuropsychiatrist in Sleep Disorders at The London Sleep Centre and has an NHS post at Guys, Kings and St Thomas Sleep Disorders Centre. He is the author of more than 50 peer reviewed journal publications and various chapters in textbooks. His research interest are in the neuroendocrinology of excessive daytime sleepiness, neuro-cognitive effects of sleep apnoea and the pathophysiology of Insomnia and the social and psychological impact of sleep disorders. He has been involved with The One to One Children’s Fund since 2007 and works as advisor to the Chairman and Executive Director, assisting with fund-raising and policy. Irshaad is deeply committed to enhancing the support for HIV infected children in Africa and to working for a peaceful and prosperous middle-east.